Fueled by every possible genre of cinematic independence, the Mumbai Film Festival is here again. It is that time of the year when every single cinema lover like us gets mad at their respective bosses to attend this grand event in Mumbai. A place where people not only see films but celebrate films. They wait in queues and gossip about their love for films. A place which is more home that you make it out to be. Like a yearly ritual, we wait for this week of cinematic wonders and ever enlightening storms. And while every single one of us believes in watching as many films as possible, time binds us to a bear minimum. Country: France | Language: English | Duration: 105 Mins. Stars: Kristen Stewart, Lars Eidinger & Sigrid Bouaziz. After smashing success of Clouds of Sils Maria (2014), Oliver and Kristen reunite for a genre-transcending spooky drama. Maureen (Kristen Stewart) is a young American in Paris making her living as a personal shopper for a celebrity. She may have the psychic ability to communicate with spirits, just like her twin brother, Lewis, who recently passed away. Maureen soon starts receiving mysterious messages coming from an unknown source. More than just a slinky and seductive ghost story for the iPhone age, Personal Shopper is also an exceptionally smart portrait of how living technology shapes how we remember and live with the dead. Country: Canada | Language: French, English | Duration: 183 Mins. Stars: Charlotte Aubin, Laurent Bélanger & Emmanuelle Lussier Martinez. With its multiple aspect ratios, on-screen block quotes, and cutaways to news broadcasts and documentary footage -not to mention a musical overture and interlude- the three-hour Quebecois political epic “Those Who Make Revolution Halfway Only Dig Their Own Graves” unfurls with bravado as outsized as its title. Inspired by the student demonstrations that sparked the Maple Spring in 2012, writer-directors Mathieu Denis and Simon Lavoie applied the language of radical cinema to a tense, mournful, and profoundly ambivalent portrait of radicalism. Provocative, compelling, vividly cinematic and resoundingly relevant – audiences must pay attention to this hidden gem. Country: Chile,Argentina,France,United States,Spain | Language: Spanish | Duration: 107 Mins. Stars: Gael García Bernal,Luis Gnecco & Mercedes Morán. Pablo Larrain, who has made a niche for himself, follows up ‘NO'(Starring Gael García Bernal which was nominated for the foreign language Oscar in 2013) and The Club with a film about the country’s most famous poet ‘Neruda’. A determined police inspector (Gael García Bernal) searches for Chilean politician Pablo Neruda (Luis Gnecco) after he goes into hiding in 1948. It was screened in the Directors’ Fortnight section at the 2016 Cannes Film Festival. It was selected as the Chilean entry for the Best Foreign Language Film at the 89th Academy Awards. Country: India | Language: Hindi | Duration: 97 Mins. Stars: Deepak Sampat, Jayant Gadekar & Ronjini Chakroborty. One of the most intriguing Indian films this year is Rohit Mittal’s mockumentary about a psychotic rickshaw driver’s deadly adventures. Narayan (Deepak Sampat) is one of nearly a quarter of a million auto rickshaw drivers whizzing through the busy streets of Mumbai. As a documentary film crew follows him around, it soon becomes evident that there is something a bit off about him. Mittal’s debut feature bears slight resemblance to Taxi Driver, in its portrayal of cab driver’s loneliness and his descent into madness. The grim tone of movie would also remind some of Henry: Portrait of a Serial Killer (1986), as a misogynist psychopath talks on camera about his misdeeds. After overwhelming response at Hong Kong and Spain, the film is all set to shock the Indian audience. Country: France, Denmark, USA | Language: English | Duration: 118 Mins. 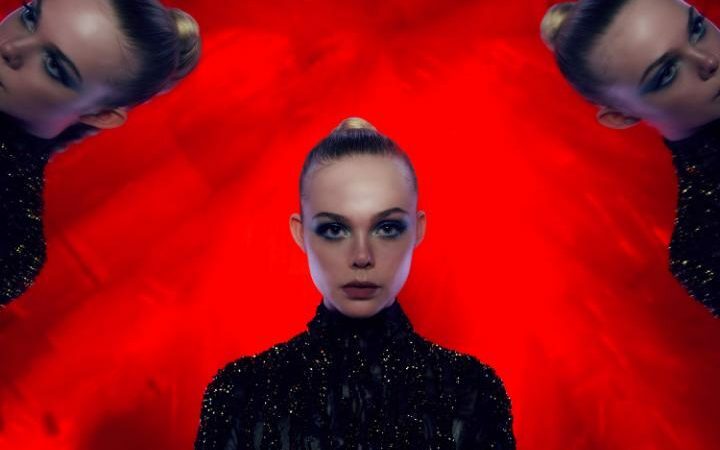 The Neon Demon might be Nicolas Winding Refn’s most polarizing film till date. If you think Only God Forgives made heads turn in the shamble of emptiness, wait till you get to see this. The Neon Demon is another NWR film that feels hollow and soulless when you turn it inside-out or outside-in. A supposedly uber-stylized fairy tale drenched in blood, gore & the darkest side of the human soul. But when you look closely at its incredible metaphors and symbolisms, the use of Cliff Martinez’s pulsating score and Natasha Braier’s heart-pounding visuals, mixed with NWR’s vision of giving you an experience instead of a solid story, you realize there is true mastery at work. While being a terrific critic on the world of fashion, The Neon Demon is basically a horror film about beauty. Immerse yourself in Refn’s colourful world of madness. Country: India | Language: English, Hindi, Bengali | Duration: 104 Mins. Stars: Gulshan Devaiah, Ranvir Shorey, Kalki Koechlin & Vikrant Massey. Following footsteps of her mother (Aparna Sen), India’s powerhouse actress- Konkona Sensharma- assumes the role behind the camera in a retro style indie movie. Inspired by real events from Sensharma’s own family history, A Death in the Gunj takes place in the late 70s. The film is set in misty woods of McCluskiegunj, an abandoned relic of British colony. It’s the story of a shy young Indian student who quietly and fatefully unravels during a family road trip. The concept of family gathering gone horribly wrong also reminds of another brilliant indie movie of this year- Krisha. Although it’s a debut film, Sensharma’s artistic sensibility is at display in trailer. After successful premier in Toronto and Busan, A Death in Gunj is set to open MAMI, and we can’t wait to watch it. Country: USA | Language: English | Duration: 97 Mins. Stars: Paul Dano, Daniel Radcliffe & Mary Elizabeth Winstead. If you have heard about Swiss Army Man then you already know Daniel Radcliffe is a farting corpse. And there were walkouts during the premiere at Sundance Film Festival. These two facts can be off-putting for many cinephiles. But “Swiss Army Man” has much more to it than only farts and poop jokes. The film follows Hank (Paul Dano), a lonely, depressed man stranded on an island who is on verge of losing all the hope for survival. Manny’s corpse brings some respite. It is like Cast Away with Wilson replaced by Manny. He sees no sign of life, except the rapid decomposition that’s causing Manny to fart. What follows then is a loony adventure of hypnotic visuals and childlike fantasy. Swiss Army Man is one of the most original films of 2016. Country: South Korea | Languages: Korean, Japanese | Duration: 156 Mins. Stars: Woo-hee Chun, Jung-min Hwang & So-yeon Jang. Forget about most of the inflated but substandard horror films you’ve been served since a long time, there is nothing quite like ‘The Wailing’. It makes the most loved horror film series in recent times. ‘The Conjuring’ look like a school project. ‘The Wailing’ is the best psychological thriller horror film since William Friedkin’s ‘The Exorcist (1973)’. And if you don’t follow international film festivals and Korean cinema, probably it is good to register the name ‘Na Hong-jin’, director & writer of ‘The Wailing’, who also made more viable and accessible action thriller ‘The Yellow Sea’ and ‘The Chaser’. ‘The Wailing’ is like a gigantic monster whose presence is unknown but his terror-stricken ominous presence of supernatural force is felt by eerie silence around you, like you are just to be gulped by rain of horror. Directors: Anurag Kashyap, Gael García Bernal, Mia Wasikowska, Sion Sono, Natasha Khan, Sebastián Silva. English, Spanish, Japanese, Hindi | Duration: 106 Mins. Stars: Radhika Apte, Kathryn Beck, Justina Bustos, Zoë Castle & Yuki Sakurai. As its title suggest, Madly is a collage of madness, seemingly contrasting pieces of art stitched together to create an uneven yet striking portrait of love. This highly ambitious international anthology features six innovative short films on love and romance. Who would’ve thought that one day artists like Anurag Kashayp, Gael García Bernal, Sion Sono…would collaborate to work on a single project? 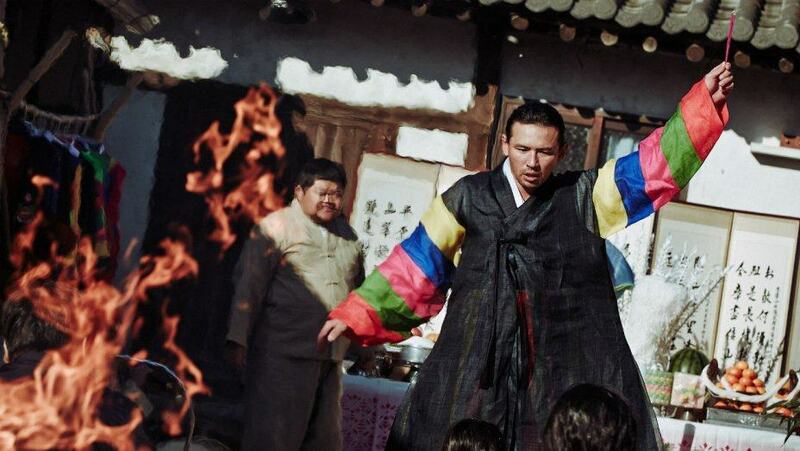 Like any other anthology movie, Madly might have its fair share of tonal inconsistencies, but the sheer existence of such film created by mavericks from all around the world is nothing short of madly. Country: Iran, Qatar, UK, Jordan | Language: Persian | Duration: 84 Mins. Stars: Narges Rashidi, Bobby Naderi & Avin Manshadi. Set in Tehran in 1988, at the height of the Iran-Iraq war, Under the Shadow centers on mother Shideh (Narges Rashdi), who has to protect her young daughter Dorsa (Avin Manshadi), after her husband is ordered off to battle. Iranian director Babak Anvari’s horror breakthrough is deeply concerned with the plight of women under the post-revolution regime. Much of the movie takes place in a single apartment, which doesn’t come off as the usual haunted house with dark corners. Under the Shadow has been compared with “The Babadook” especially in its portrayal of shared sleep-deprivation in mother and child as well as an interior that morphs into a nightmare. This feminism horror film has become an instant hit on the festival circuit and is UK’s Oscar submission for Foreign Language category. Country: India | Language: Hindi |Duration: Unknown. With very few films Vikramaditya Motwane (dir. Of Udaan and Lootera) has emerged as a central figure of Indian new wave cinema. His latest film starring Rajkumar Rao is all set to have its world premiere at MAMI as a part of newly introduced ‘Spotlight’ section that aims to celebrate the diversity of Indian cinema. Trapped is reportedly a survival drama, which chronicles the story of a character who is trapped in a room for about 25 days in a Mumbai apartment. The script is penned by a duo of talented writers- Amit Joshi and Hardik Mehta (whose documentary Amdavad Ma Famous is also screened in half ticket section). Although we don’t know much about the movie at this point, the names in credit are enough to entice the audience. Country: UK, France, Belgium | Language: English | Duration: 100 Mons. Stars: Dave Johns, Hayley Squires & Sharon Percy. The British director Ken Laoch’s devastating drama tells the fictional story of Daniel Blake, a middle-aged widower in the North East who can’t work or get benefits after a near-fatal heart attack. 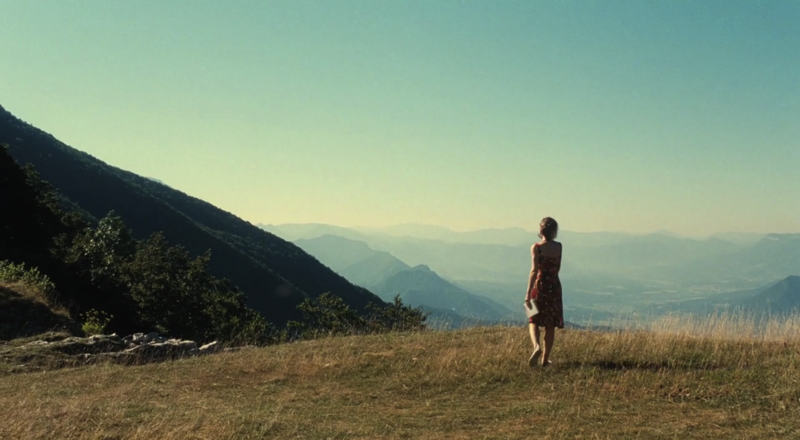 The story is told with stark and fierce plainness and unblinking neo-realist simplicity. The tale of Daniel Blake (Dave Johns), a 59-year-old carpenter from Newcastle, who is fighting to hold on to his welfare benefits, even though his heart condition forbids him from working, is one that’s sure to resonate across national borders. I, Daniel Blake is the winner of Palme d’Or at Cannes 2016. Witness, as the master of misery, unleashes the bleakest movie of the year onto its unsuspecting viewers. Country: Japan, France, Belgium | Language: None | Duration: 80 Mins. In Studio Ghibli’s latest minimalistic fable, man and nature bond together in a highly mysterious way. 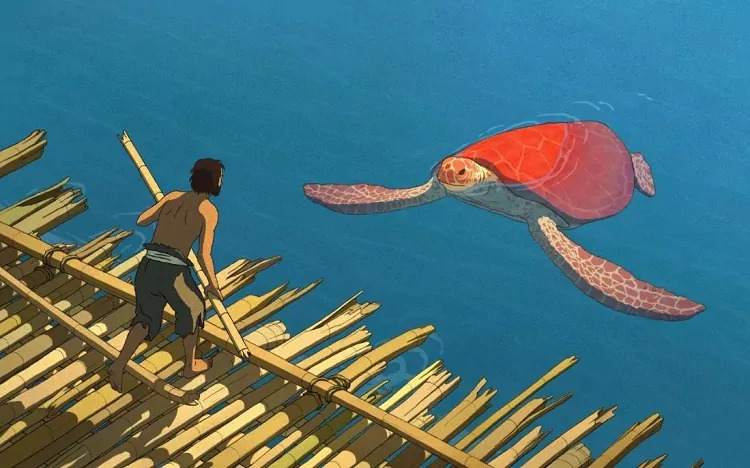 Red Turtle marks the feature debut of Dutch-British illustrator and animator Michael Dudok de Wit, whose short film Father and Daughter won the Academy Award back in 2000. It is the story of a man, lost at sea, who washes up on a desert island completely alone. Rather than giving up hope, the man begins to build a raft so he can sail away from his floating prison, but each and every time he begins to put meaningful distance between him and the island something rams his boat, smashing it to smithereens. That something turns out to be the gigantic red sea turtle evoked in the film’s title. When it crawls out of the briny deep onto the beach where the man lives, though, the film takes a distinct and sudden turn for the surreal. In an entertainment landscape dominated by superhero spectacle, hailstorms of bullets, and thoughtless explosions, The Red Turtle is a breath of fresh air, a jolt of life, and one of the most refreshing cinematic experiences of the year. Country: France, Germany | Language: French, English, German | Duration: 102 Mins. Stars: Isabelle Huppert, André Marcon, Roman Kolinka & Edith Scob. In Things to Come, French national treasure Isabelle Huppert stars as Nathalie, a philosophy lecturer with a cosy life, two grown-up children and an equally academic life. Protests and boycotts are rife at her university, in which she has no interest in either taking part or debating, despite her students’ earnest statements of outrage. It’s an unhurried, gently affecting story of middle age and mortality that accepts the natural chaos of life. Løve’s follow up to Eaden (2014) is a film of delayed pleasure that gives voice to ideas, feelings and an emotional depth often unexplored in cinema. It’s winner of Silver Berlin Bear for Best Direction. Country: Philippines | Language: Filipino | Duration: 226 Mins. Stars: Charo Santos-Concio, John Lloyd Cruz & Michael De Mesa. After spending the last 30 years in prison, Horacia is immediately released when someone else confessed to the crime. Still overwhelmed by her new freedom, she comes to the painful realization that her aristocratic former lover had set her up. As kidnappings targeting the wealthy begin to proliferate, Horacia sees the opportunity to plot her revenge. This is the film that won Diaz the Golden Lion at this year’s Venice film festival and took the Filipino director’s global reputation to a new level. Running as it does at mere three-and-three-quarter hours, it is a squib compared to his other works. In his latest magnum opus, supposedly adapted from Leo Tolstoy’s short story God Sees the Truth, But Waits, Diaz explores themes like guilt, shame, the burden of forgiveness and existence of God. Santo’s seething performance and Diaz’s breathtaking cinematography makes ‘The Woman Who Left’ an essential viewing. Country: Bhutan, Hong Kong | Language: Dzongkha | Duration: 96 Mins. Stars: Tshering Dorji, Sadon Lhamo & Xun Zhou. A group of people wear masks and come together in the woods for fifteen days of liberating and transgressive anonymity in this Buddhist-themed philosophical fairy tale. “Hema Hema” translates as “long, long ago” or alternatively “Once upon a time,” thereby playing with audience perception of time and space: It seems that Norbu means to evoke a timeless limbo, that liminal area between death and rebirth. Colorful, exotic and mysterious enough to keep audiences on their spiritual toes, the handsomely produced fourth feature by Buddhist preacher Khyentse Norbu (The Cup, Travelers and Magicians, Vara: A Blessing) looks sufficiently outlandish to draw the attention of every festival programmer and appeal to all those who have already enjoyed a taste of Norbu’s native Bhutan in his earlier films. Country: USA | Language: English | 135 Mins. After his older brother passes away, Lee Chandler (Casey Affleck) is forced to return home to care for his 16-year-old nephew. There he is compelled to deal with a tragic past that separated him from his family and the community where he was born and raised. Kenneth Lonergan’s follow-up to critically acclaimed Margaret (2011) offers a similarly bold merging of ensemble drama and character study, all in service of a story about how a person chooses to deal or not deal with the consequences of a fatal mistake. Casey Affleck delivers one of the finest performances of this year in this shattering drama. Country: Iran, France | Language: Persian | Duration: 125 Mins. Stars: Shahab Hosseini, Taraneh Alidoosti & Mina Sadati. Forushande (The Salesman) is the story of a couple whose relationship begins to turn sour during their performance of Arthur Miller’s Death of a Salesman. Asghar Farhadi’s The Salesman competed for the Palme d’Or at the 2016 Cannes Film Festival. At Cannes, Shahab Hosseini won the award for Best Actor and Asghar Farhadi won the award for Best Screenplay. It was selected as the Iranian entry for the Best Foreign Language Film at the 89th Academy Awards. Director Asghar Farhadi alone is enough to see this film, known for films like – A Separation (2011), About Elly (2008) & The Past (2013) among others, Farhadi has a very keen eye of looking into the modern day Iran with all its inevitable complications and cross gender and class differences. Country: France, Chile | Language: Spanish, French, English | Duration: 128 Mins. Stars: Adan Jodorowsky, Brontis Jodorowsky & Pamela Flores. Through Alejandro Jodorowsky’s autobiographical lens, Endless Poetry narrates the years of the Chilean artist’s youth during which he liberated himself from all of his former limitations, from his family, and was introduced into the foremost bohemian artistic circle of 1940s Chile where he met Enrique Lihn, Stella Díaz Varín, Nicanor Parra… at the time promising young but unknown artists who would later become the titans of twentieth-century Hispanic literature. He grew inspired by the beauty of existence alongside these beings, exploring life together, authentically and freely. A tribute to Chile’s artistic heritage, Endless Poetry is also an ode to the quest for beauty and inner truth, as a universal force capable of changing one’s life forever, written by a man who has dedicated his life and career to creating spiritual and artistic awareness across the globe. Best known for his Avant-garde films like The Holy Mountain (1973), Santa Sangre (1989) & El Topo (1970), 87-year-old Alejandro Jodorowsky is known for his use of violent surreal imagery that both mystifies and provoke cult cinema enthusiast. Country: Japan | Language: Japanese | Duration: 117 Mins. Stars: Hiroshi Abe, Yôko Maki, Taiyô Yoshizawa & Kirin Kiki. Dwelling on his past glory as a prize-winning author, Ryota (Hiroshi Abe) wastes the money he makes as a private detective on gambling and can barely pay child support. After the death of his father, his aging mother (Kirin Kiki) and beautiful ex-wife (Yoko Make) seem to be moving on with their lives. Renewing contact with his initially distrusting family, Ryota struggles to take back control of his existence and to find a lasting place in the life of his young son (Taiyo Yoshizawa) – until a stormy summer night offers them a chance to truly bond again. First screened in the Un Certain Regard section at the 2016 Cannes Film Festival, After the Storm is the latest outing by Japanese auteur of minimalistic cinema, Hirokazu Koreeda. Know for his films like – Like Father, Like Son (2013), Still Walking (2008) and Nobody Knows (2004), Hirokazu Koreeda’s films are so emotionally touching and reflective in their approach that you just sit back and intake whatever Koreeda has in store for you.